Another victim, Laura Gill, “testified that Kloman pinned her down and assaulted her in the basement of his home while his family was upstairs” when she was 14 years old. The rest of Kloman’s victims were the same age or younger. The youngest, who was 12 at the time Kloman molested her, sparked an investigation in 2011 when as an adult she discovered Kloman was substitute-teaching at her daughter’s Maryland grade school. 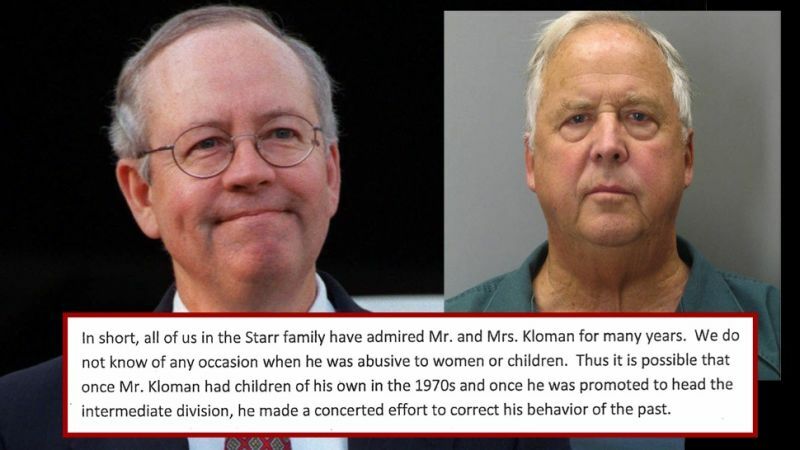 Yet Starr, a retired federal judge and former Solicitor General who single-mindedly pursued a criminal investigation into President Bill Clinton sparked by Clinton’s sexual behavior with an adult, signed a letter to Kloman's sentencing judge arguing that “community service” would be a more appropriate punishment for someone who repeatedly sexually assaulted children entrusted to him by their parents. 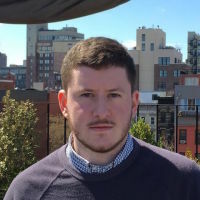 Because Kloman was a well-connected teacher at a proving ground to the capital’s elite—the private Potomac School in McLean, Va.—who was liked by the parents of the children he didn’t sexually abuse, he received a bizarre outpouring of support from some extremely powerful Washingtonians, many of them begging the judge not to send Kloman to prison. All of the letters mentioned above can be read here.